The first Greek Orthodox faithful arrived in Macon and Central Georgia in the late 1890’s. Some of the names of the early immigrant families were Lamis, Floros, Nicholas, Roniotis, Andros, Zolotas, Zaloumes, Pappas, Callianos, Arthur, George, Peters, and Malliotis. 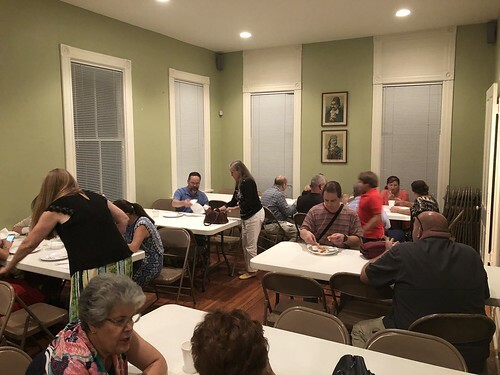 They came together to establish the Greek community and relied on the Greek Orthodox priest from Atlanta to visit and hold religious services in various halls and in the homes of the faithful. From 1933 to 1955, the Greek community was under the guidance of Father Panos Constantinides of Atlanta. Unlike most other cities of our size, Macon was unable to establish a Greek church, but after World War II we were loosely organized as a “community,” known as the Greek Orthodox Community of Macon, Warner Robins, and Milledgeville. Founded in 1959, the Greek ladies social, club, Sophia, Agape and Elpis, was very instrumental in maintaining our community by holding bake sales, fund-raisers, and dinners. The Greek Orthodox Church of Macon was legally formed in 1964 when the State of Georgia granted a charter to the four incorporators: George Zaloumes, John Cacavias, Harry Andros, and Nick Dermatas. They established a Church Building Fund in anticipation of buying land and building a church. George Andros and Johnny Vastakis joined the four founders as Great Benefactors. As a “satellite” congregation of Atlanta, services were held in various places, but the congregation relied primarily on the chapel at St. Paul’s Episcopal Church. The Episcopal community of Macon was very generous and supportive of our efforts and determination. Father Homer Goumenis of the Atlanta Cathedral served as our priest in the 1960’s and 1970’s, conducting many baptisms, weddings, and funerals, in addition to celebrating the Divine Liturgy on many Saturdays and Holy Days. 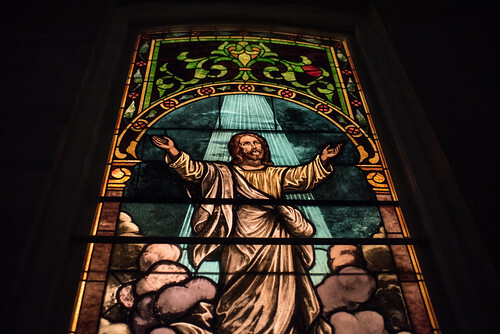 In 1976, an existing church (chapel) and a house in Bloomfield were purchased from St. Francis Episcopal Church, and finally, after over 80 years, the Greek community celebrated its first Divine Liturgy with Father Homer in its own church in August of 1976. Our church was recognized by the Greek Archdiocese of North and South America as a mission under the Diocese of Charlotte. We made extensive changes to the church, and with renovations the house next door became the Parish Hall. In 1977, we changed the name of our church to Holy Cross Greek Orthodox Church, and a few years later we voted to adopt the legal name of Holy Cross Greek Orthodox Church of Middle Georgia. Father Michael Vastakis was ordained in September of 1978 and began his long tenure of dedicated and loving service to our church. Before that time, he had faithfully served as a chanter for many years. 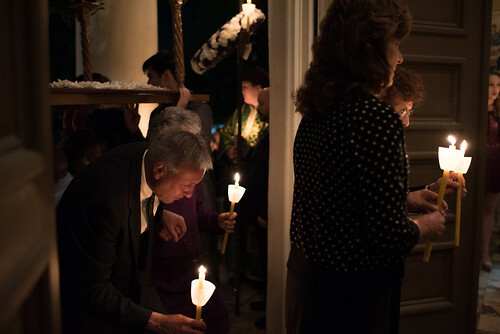 The Greek Orthodox Ladies Philoptochos Society issued a charter to the women of Holy Cross in 1984, and they have dutifully supported various local and national charities for many years. In 1996, Holy Cross was granted an Ecclesiastical Charter by our Holy Archdiocese in New York, and we were thus elevated from a mission to a parish under the Diocese of Atlanta. We purchased our downtown property from First Street United Methodist Church in April of 2004 and started extensive renovations in August of that year. 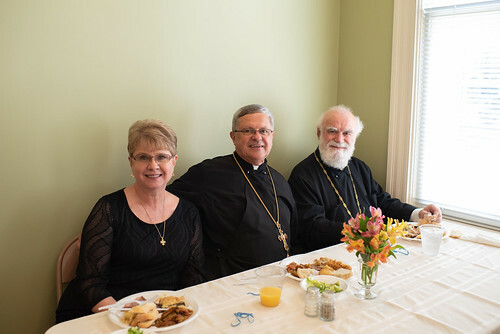 Our congregation voted to establish a five—year Capital Campaign to be called “New Beginnings.” Our first Divine Liturgy was celebrated in June of 2005 with Father Michael Vastakis. Father “Mike” retired in April of 2006, having served our church for over 27 years and leaving a memorable legacy that will never be forgotten. In 2010, we were blessed to have The Very Reverend John W. Stefero serving our parish of over 60 families for eight years. Today, we are blessed to be served by Father Theodore Ehmer. Our congregation spans a wide area of Central Georgia, including Warner Robins, Americus, Thomaston, Cordele, Milledgeville, and Eatonton. We are proud that our parishioners come from many different ethnic backgrounds (Russian, Romanian, Albanian, Hungarian, Serbian, Ethiopian, Hispanic, and Greek). We realize that as Christians we will continue to grow and change in order to meet the challenges and needs of the Orthodox faithful of Central Georgia. Our community is committed to spreading the Holy Scriptures, the Sacred Tradition, and the spiritual teachings of the Greek Orthodox Holy Fathers as we seek to perpetuate our Eastern Orthodox spirituality. 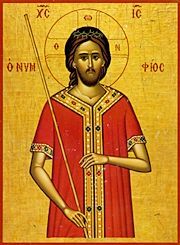 * See the online calendar for weekday services and Saturday Vespers!